Hong Kong Sevens, is one of Hong Kong’s largest and most popular sporting events of the year and features the game of Rugby. This year, Grey Hong Kong created a campaign for co-sponsor HSBC, to leverage on this sporting event and to shine the spotlight on some of HSBC’s business customers. 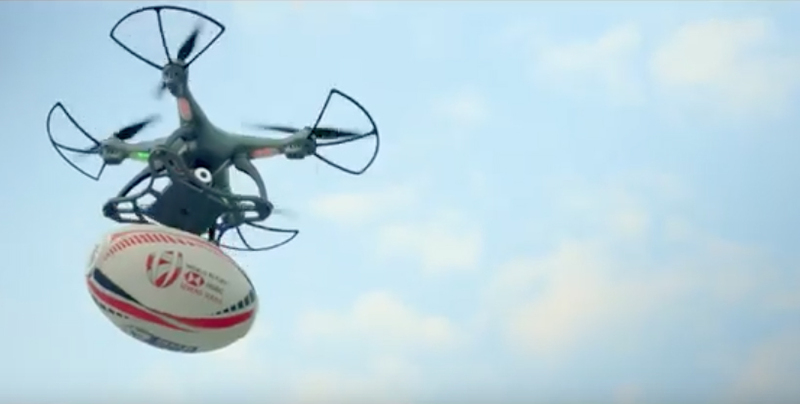 Grey partnered with one of HSBC’s local innotech customers, Insight Robotics, and created a state-of-the-art rugby ball. The ball then travelled throughout Hong Kong and into the hands of different local businesses. They were given the opportunity to pitch or introduce their business to the camera. The 2019 Hong Kong Sevens will be the 44th edition of the Hong Kong Sevens, and the seventh tournament of the 2018–19 World Rugby Sevens Series. Media channels for the campaign included a district focus around the Hong Kong Sevens competition, presence in the Rugby Village and Hexagon Suite, TV channels, as well as digital and social media.